I had such a good day today, despite being sleep deprived because I woke up 3 times last night. I do believe this last month of pregnancy is the worst! I'm just happy I get tomorrow off. I have another doctor's appointment and hopefully I'll find out where the baby is. I can never tell! I don't know about the red highlights, though. I got home and just wanted something easy to make. 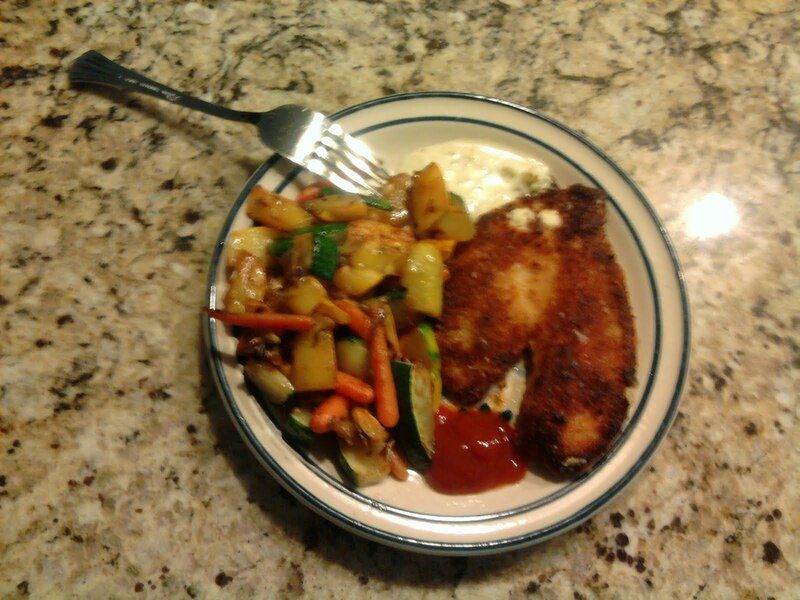 I settled on pan-fried fish with a side of veggies. The veggies were just stir-fried but they were so good. The squash I got at the farmer's market was delish! For dessert, I just had a yummy mango and now I'm just trying to relax watching some Bethenny's Getting Married. I'm probably going to turn in pretty soon, I am sleepy!! !